A journey back in time at Quinta da Lagoalva. The estate Quinta da Lagoalva de Cima is part of a region of unique natural beauty extended in the south bank of the river Tejo, approximately 2km from the town of Alpiarça and 11km from the city of Santarém. The history of the property goes back to the 16th century when the King of Portugal handed it to the Military Order of Santiago de Espada due to its heroic feats in the conquest of Santarém. The property was owned by this military order for six centuries. 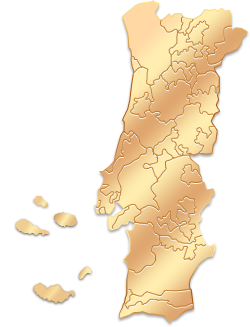 In 1841-42 the land was inherited by Maria Luisa Noronha de Sampaio, that married Domingos António Maria Pedro de Souza e Holstein, the second Duke of Palmela. For this reason the estate entered into the House of Palmela in 1846. Since then and throughout generations the lands have stayed in the hands of the Palmela family. Quinta da Lagoalva de Cima develops an extensive and diverse agricultural production that includes cork, olive oil, honey, corn, potato, wine among others and has its own Haras of Lusitano Horse – Coudelaria da Quinta da Lagoalva de Cima. Thanks to the dynamism of its owners, in the last few decades Quinta da Lagoalva de Cima has been continuously allying state of the art know-how with tradition. A place where you can buy the products produced at Quinta da Lagoalva. Quinta da Lagoalva is located at Alpiarça.